Remember last week when we set up that super cute dessert table and made a few recipes from the new Amy Atlas book? We also put together this delightful meringue encrusted wedding cake. We crushed light pink meringue and ever so gently placed it around the cake. Set it on a vintage aqua cake stand from Found Vintage Rentals and voila, we had a rustic inspired wedding cake. 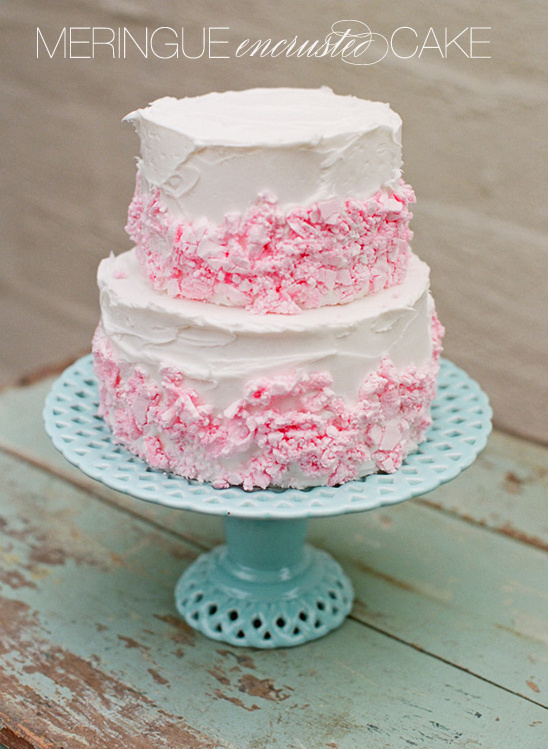 We love the contrast of the light pink and blue cake stand ... don't you? 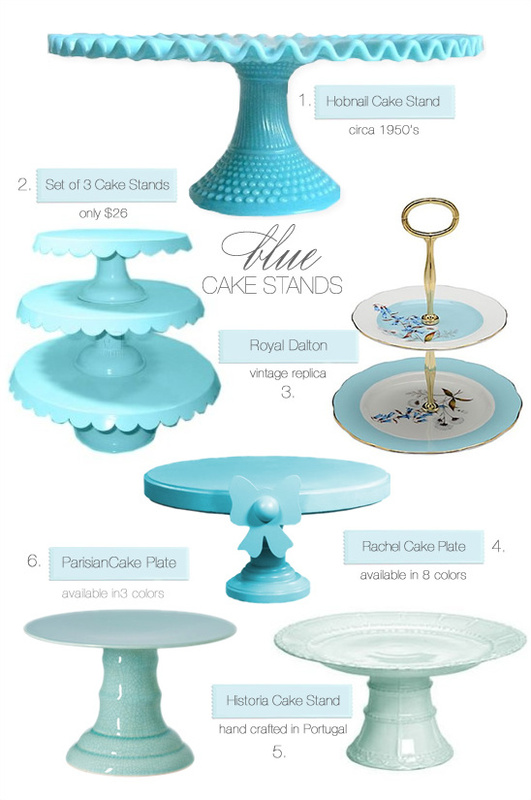 We hunted down some of our favorite blue cake stands, so you could replicate this look yourself. Are you seeing a blue cake stand in your future?